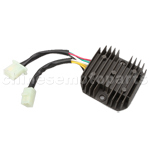 H055-002 4 Pin Voltage Regulator Rectifier GY6 50cc 60cc 80cc 125cc 150cc Chinese Moped Scooter ATV Brand new 12V 4 Pin full wave voltage regulator. 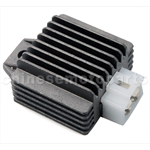 Fit most Scooters/Mopeds with GY6 50cc to150cc motors Motorcycle Dual-silicon Full-wave voltage regulator, made of dual-silicon wafers. 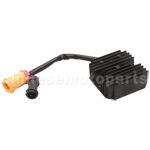 H055-014 4-wire Voltage Regulator for GY6 150cc & CG 125cc-250cc ATV, Dirt Bike, Go Kart, Moped & Scooter. 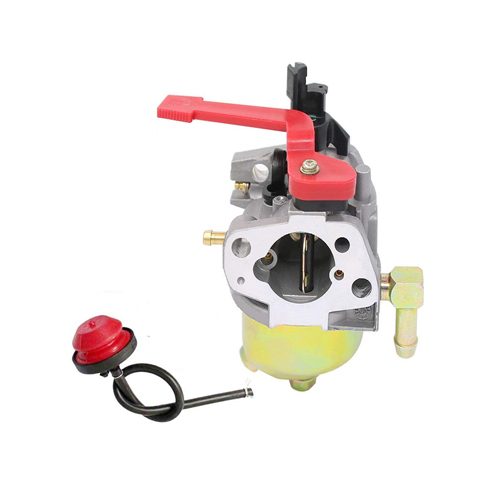 The item fits for GY6 150cc & CG 125cc-250cc engine. 4-wire,4-pin. The plug has gap. BRAND NEW PRODUCTS. BEST QUALITY GUARANTEED. 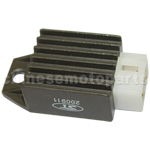 H055-016 4-pin Silver Gray Voltage Regulator for CG 125cc-250cc ATV, Dirt Bike & Go Kart. 4-pin. Color:Silver Gray 8 class 4 strings BRAND NEW PRODUCTS.BEST QUALITY GUARANTEED. 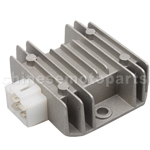 H055-010 4-pin Voltage Regulator for Yamaha SR150cc Motorcycle. 4-pin. For modle:Yamaha SR150cc BRAND NEW PRODUCTS.BEST QUALITY GUARANTEED. 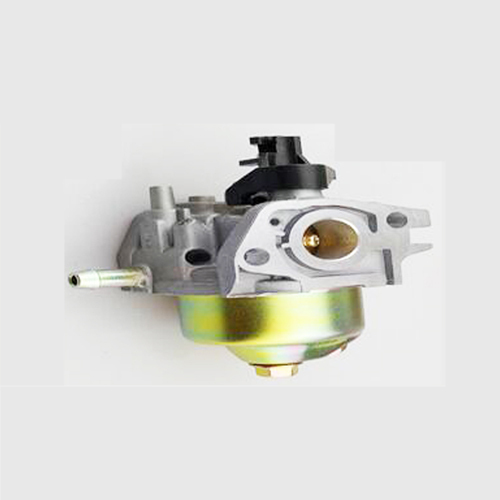 H055-013 4-wire Voltage Regulator for GY6 150cc & CG 125cc-250cc ATV, Dirt Bike, Go Kart, Moped & Scooter. 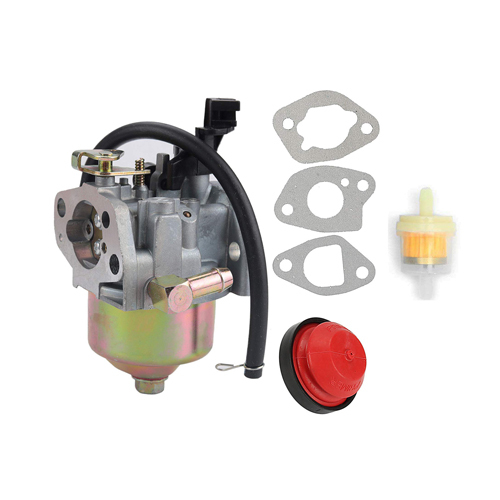 The item fits for GY6 150cc & CG 125cc-250cc engine. 4-wire,4-pin. BRAND NEW PRODUCTS.BEST QUALITY GUARANTEED. 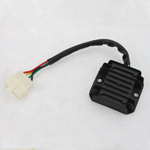 H055-012 5-wire Double Plug Voltage Regulator for JIANSHE 400cc ATV. 5-wire mail plug,5-pin.Double Plugs. 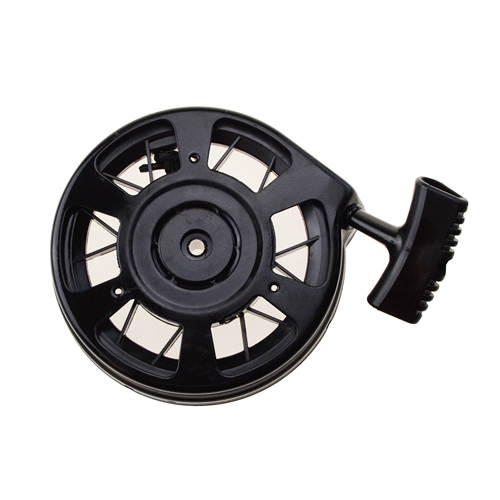 Dimension:80?0mm?8 BRAND NEW PRODUCTS.BEST QUALITY GUARANTEED. 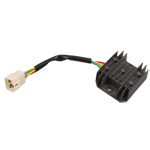 H055-015 5-wire Voltage Regulator for GY6 150cc & CG 125cc-250cc ATV, Dirt Bike, Go Kart, Moped & Scooter. 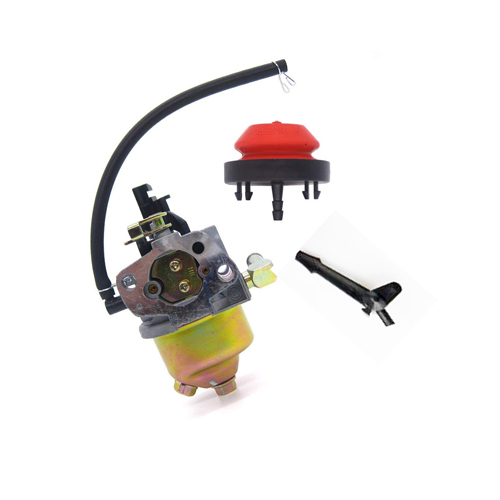 The item fits for GY6 150cc & CG 125cc-250cc engine. 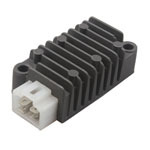 5-wire male plug,5-pin.BRAND NEW PRODUCTS.BEST QUALITY GUARANTEED. 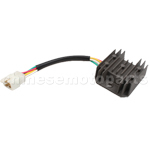 H055-007 6-wire Double Plug Voltage Regulator for CH150cc ATV, Go Kart, Moped & Scooter. 6-wire Double Plug. BRAND NEW PRODUCTS.BEST QUALITY GUARANTEED.